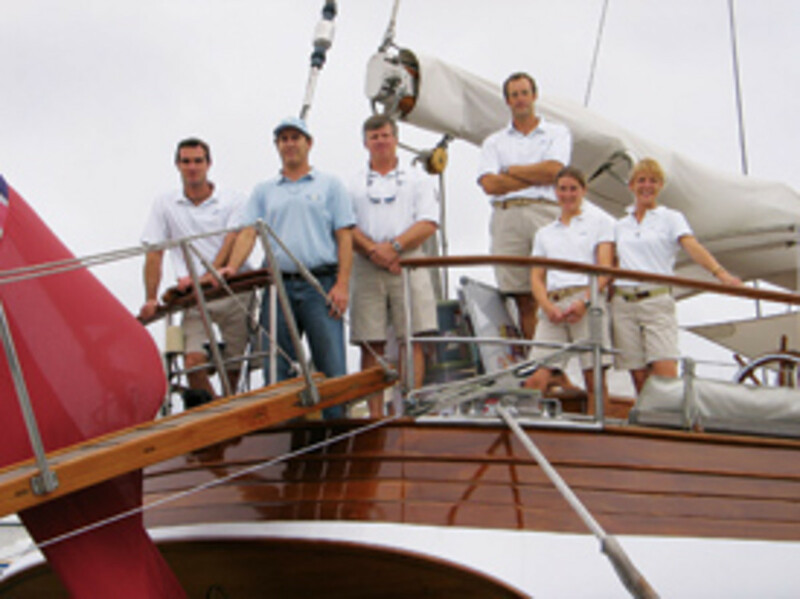 Mark Drewelow (blue shirt) has worked with sail- and power-yacht owners and crew alike. Capt. 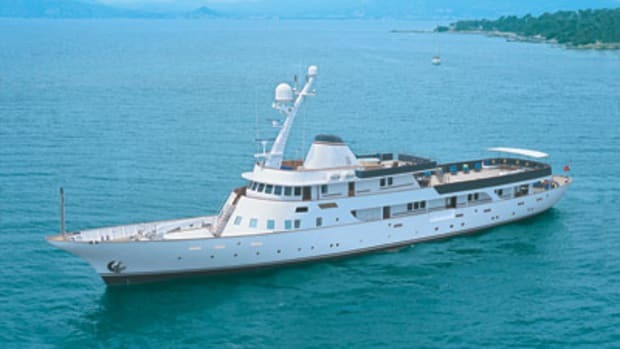 Mark Drewelow, a former megayacht skipper and a yacht-service entrepreneur, had a brainstorm in early 2006. 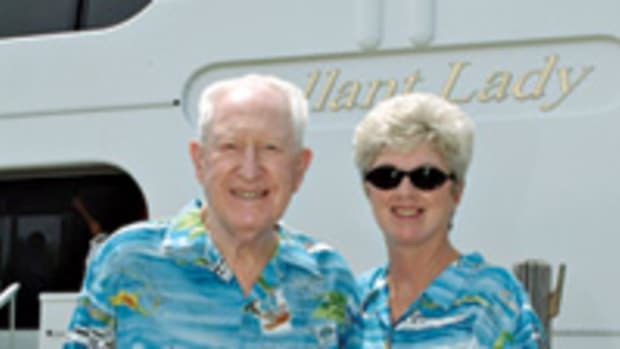 As a captain, "I was always on boats that were moving, frequently in remote parts of the world," he relates, and he was continually amazed that no matter how poor the local people were, they were always happy to help out the yacht crews and owners who pulled into port. The problem was, the money generated at the fuel docks, provisioning shops, and other marine-oriented businesses didn&apos;t flow back into the communities. In particular, many towns the megayacht set frequented in Costa Rica, Belize, and other Central American countries were populated with schoolchildren who lacked basics like rulers, paper, and crayons. There had to be a solution. And Drewelow decided he and his fellow yachties were it. Thus YachtAid Global was born. 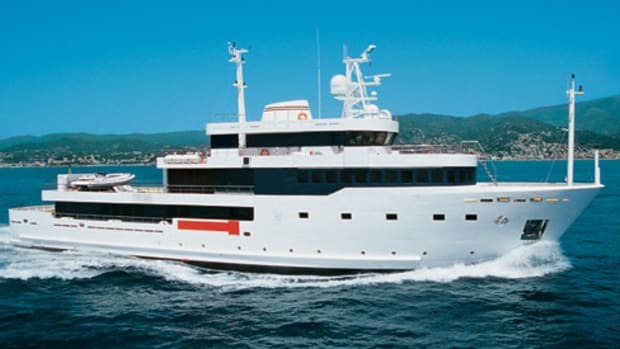 Drewelow, through his connections as a captain and founder of C2C, a firm that provides provisioning, fuel bunkering, and other yacht services, finds out what communities need and asks owners and crew heading there to buy and transport cases of pencils, blunt scissors, dry-erase boards, and the like. 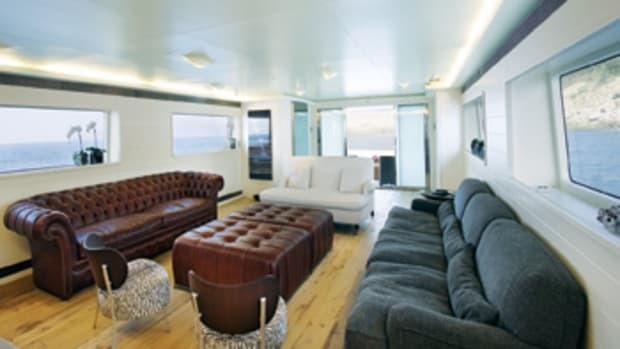 "Yachts have so much capacity to store things, so why not?" he reasons. Plus, "The boats are going there anyway. Just unzip the tender cover, and load the boxes of pencils in." Hence the organization&apos;s tagline: "Changing the World Without Changing Course." One yacht which happily loaded supplies—once for a Costa Rica trip in 2007, and again earlier this year—is Ice Bear, a 173-foot Feadship. Drewelow has known her longtime commander, Capt. Cy Butler, for a while, so "it was a natural choice," he says. It was also natural for YachtAid Global to attract the attention of other members of the marine industry—but the way Marc Franken got involved is a story in and of itself. 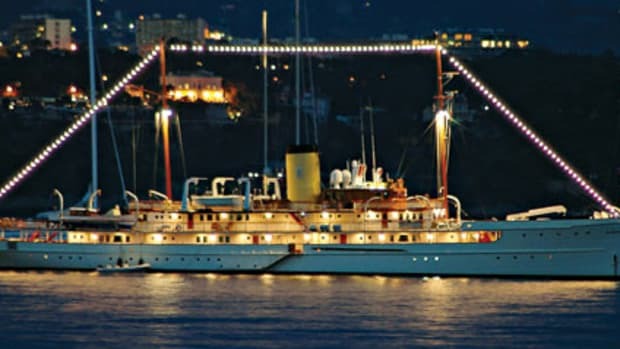 The head of Frankentek Yacht Systems, a yacht-security company, Franken was researching Internet domain names incorporating words relating to his specialty, when he came across megayachtsecurity.com. Drewelow happens to own that domain, which redirects to YachtAid Global&apos;s Web site. After exploring the site, Franken e-mailed Drewelow to inquire further about the program and thought perhaps one day he could pitch in. The smiles of these school children say it all, don&apos;t they? That day came this past February, when Frankentek became YachtAid Global&apos;s first corporate sponsor. "I never expected to have corporate sponsors," Drewelow marvels, explaining how funds for supplies come mostly from C2C&apos;s profits and his pockets (without complaint, mind you). Now with the aid of Frankentek, YachtAid Global can order online from Costco Business Delivery and have supplies shipped the next day to any of the half-dozen or so megayachts that are presently participating in the program. And Drewelow is keenly interested in growing the ranks. While he&apos;s looking for owners and/or crews planning trips to Central American countries, he&apos;s also interested in speaking with anyone venturing to Indonesian waters and even Alaska. Drewelow says that given the extreme poverty elsewhere, it&apos;s easy to overlook problems right here at home. But communities in the Aleutian Islands particularly need help. Exacerbating their situation is the fact that supplies we all take for granted have to be flown in by seaplane, which is expensive. 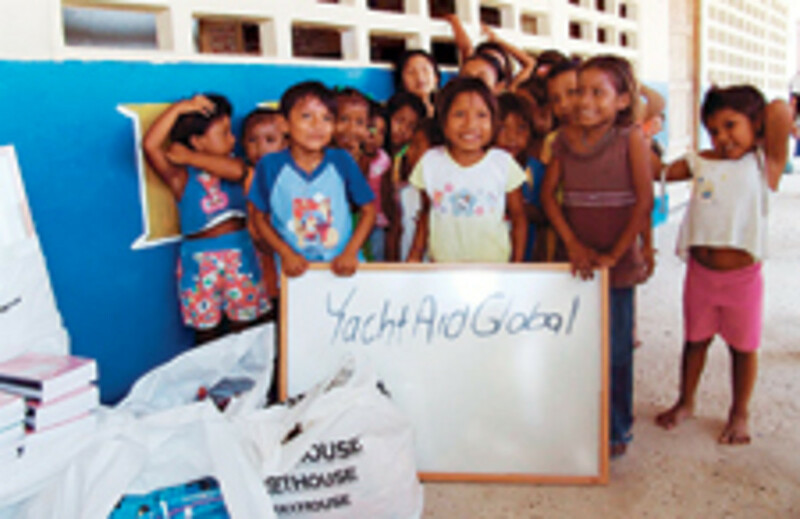 Of course, YachtAidGlobal also encourages individual owners and crew to volunteer their time with the schoolchildren, and Drewelow preaches the additional benefits of donating directly, particularly things like old charts that would otherwise get tossed aside. "Why throw it away? Do a presentation on what you do for a living, hang it on the wall, and make a connection for life," he says. At the end of the day, that connection is worth its weight in gold. Sixteen marine-related companies in the San Diego area have formed the San Diego Superyacht Association, to promote the region as a megayacht destination and spread word about its marine services and suppliers. 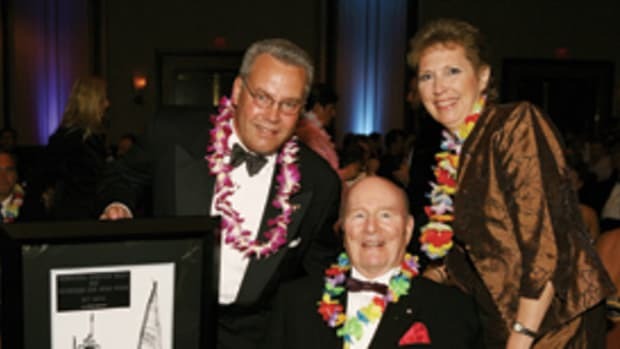 Among the founding members are Knight & Carver YachtCenter, Driscoll Boat Works, Fraser Yachts, Northrop and Johnson, Kona Kai Marina, and Shelter Island Marina. Affinity Yachts should deliver a 90-foot yachtfisherman around the time you&apos;re reading this. 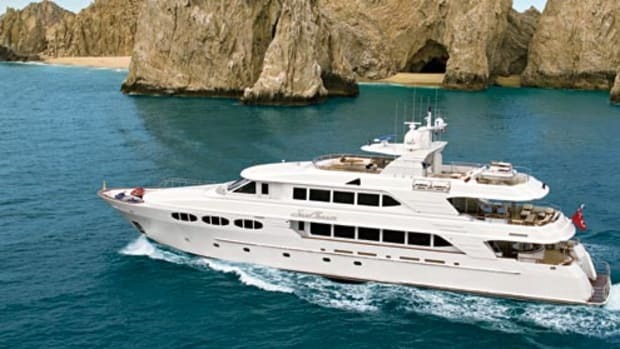 Subcontracted to Cheoy Lee for construction, the 90 is largely based on the famous 101-foot El Lobo, which cruised the world in pursuit of big game for many years. In fact, the new yacht is being built for the same owner. Twin 2,400-hp MTUs should permit 30- to 33-knot speeds. The shadow boat SuRi caused a stir in Seattle in April, where she spent a few days before heading off across the Pacific for Australia. Seems one of the local papers assumed the owner was Tom Cruise, since his daughter&apos;s name is Suri. While the 173-footer is owned by an American, he&apos;s much lower-profile (and likes it).